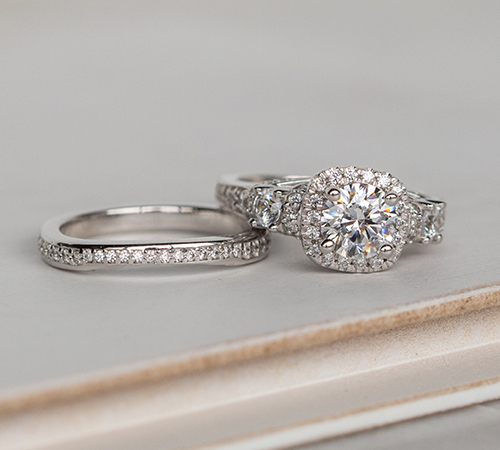 As designers, we often recommend that you consider the look you want for your entire wedding set when you begin creating your engagement ring. Do you like a subtle band that lets the engagement ring shine? Or do you like a band that makes more of a style statement? These are some things to keep in mind when designing a ring and matching band. The main thing to keep in mind when designing your wedding band is the height of your engagement ring setting. Height is the single largest factor in sending you down one design path or another. Typically, higher settings can accommodate a wider range of band designs. These styles lift the main stone in the engagement ring higher off the finger. 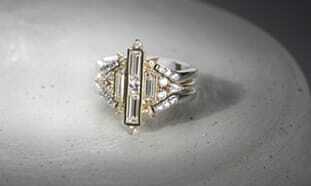 This leaves room for a band to sit beneath the setting, and fit flush against the shank of the engagement ring. 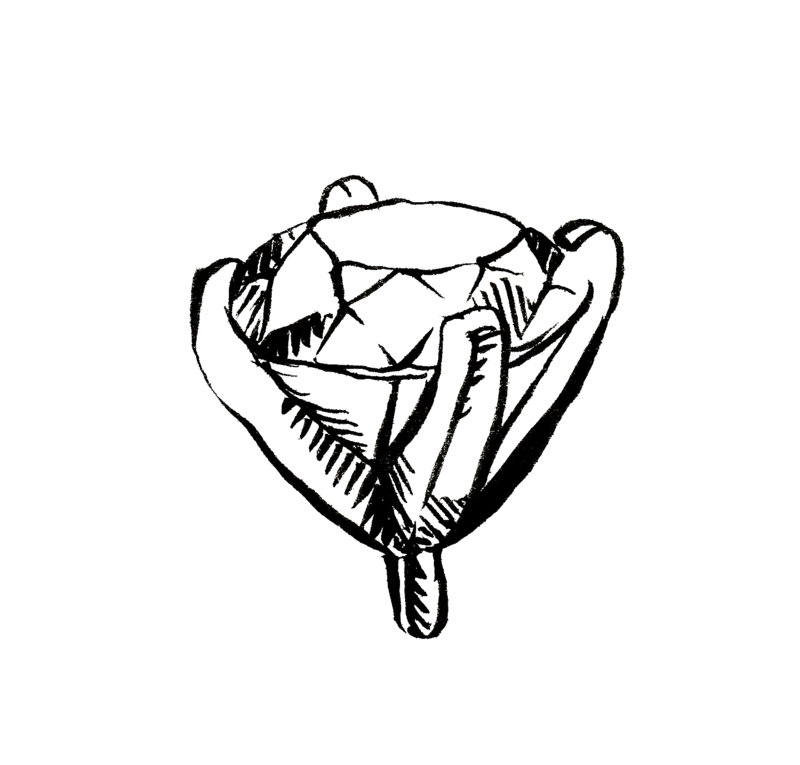 Lower profile rings typically do not have space under the setting for a band to sit against the engagement ring shank. These types of engagement rings call for more creativity in the wedding band design. Curved and nesting bands are popular among these styles. The most popular wedding band style is a straight band, either plain metal or set with accent stones. This type of band will complement nearly any engagement ring. 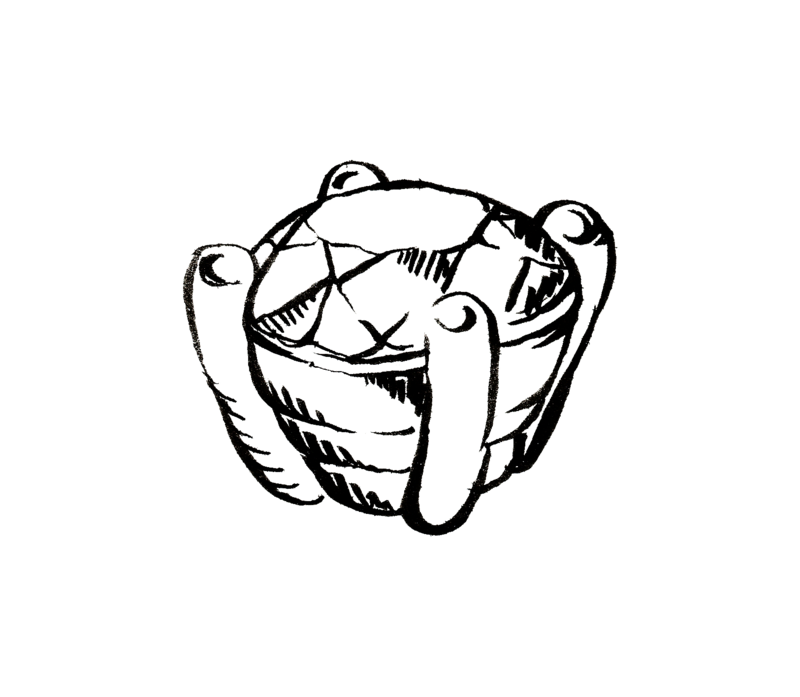 However, a straight band may not sit flush against a lower-profile engagement ring. But don’t mind the gap! 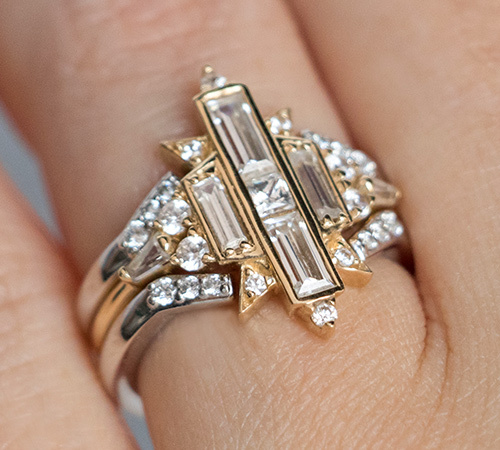 Pairing a straight band with a lower profile engagement ring and leaving space between them has become a trendy look; it is an updated take on a classic style. Curved bands recreate a classic wedding set look by arcing around the setting of the engagement ring. This style usually does not use the curve as a bold design choice; rather, it is a way to fit the band against the engagement ring, with the curved part hidden beneath the high profile setting. Nesting bands are the most style-forward choice for a wedding band. This style of band is typically set with accent stones that sit against the edges of the low profile setting, adding additional design elements to the wedding set. Standalone bands are becoming a more popular choice among modern brides. A thicker, chunkier eternity band set with accent stones becomes the go-to for daily wear, with the engagement ring worn on the right hand or saved for special occasions. What style wedding band is your favorite? I prefer an accented Euro- style accented wedding band. 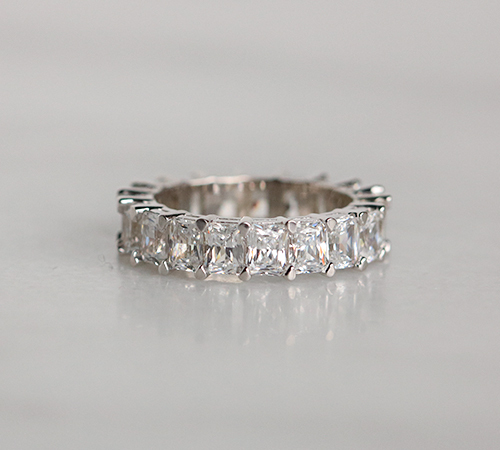 An ample, accented eternity band. The first one displayed above. Very ornate, yet the band is also endowed with diamonds. Love it! I prefer a band with channel set stones. It makes for a comfortable fit. Not too fond of...wait, may I add that I appreciate eternity bands with stones that completely encircle my finger so that I am not concerned when it spends around? And thanks for asking.